1. Can I place a for sale by owner on my property? 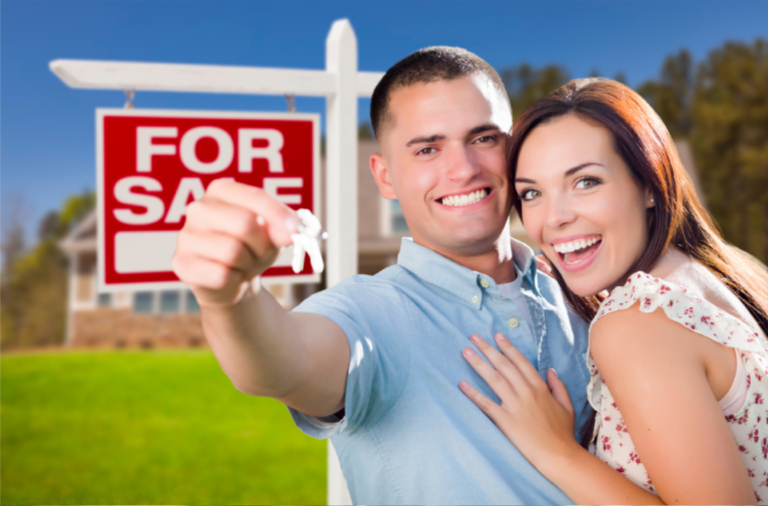 Yes, For Sale by Owner is an option that you have when listing your property for sale. That being said, mandatory industry regulations and disclosure create a potentially overwhelming and scary prospect for someone who may not be trained in the Real Estate law specific to Alabama. Furthermore, having a professional agent in your corner for marketing, negotiating and advocating for you throughout the selling process not only makes sense, but has statistically proven to bring a higher net sale price for your home! 2. Which types of properties can be listed? We can list Residential property, Lots and Land, Commercial Property, Multi-Family, etc. If it’s real property, Revolved Realty can list it! 3. Do I actually need the MLS and realtors in order to sell a house? No, you don’t NEED a Real Estate Professional and the MLS to sell your home. That being said, 87 percent of home purchases in 2016 were with the assistance of a Real Estate Agent and as agents, our primary source for home inventory is the MLS system and the network of Realtors that we know. Furthermore, 80 percent of all home buyers searched and found their home online last year. This means that your online exposure is a huge contributing factor in how quickly, and for what price your home will ultimately sell for. This means that by using Revolved Realty you will be showcased not only in the MLS but also on numerous other online marketplaces as well as social media! 4. What is the difference between a full service and flat fee listing? At Revolved Realty the only difference between our easy-to-understand flat fee and a traditional full-service brokerage is the price point. You’ve worked hard to earn equity in your home and we believe that you should keep more of it! With Revolved Realty you will receive everything you would receive from any other full-service brokerage and you won’t have to forfeit 3 percent of the sales price of your home. Simply pay the one-time flat fee and we will go to work on your behalf. 5. How long will my property be listed? Standard listing agreements are 6 months in length. 6. How many photos will my listing contain? Each listing may be different so there is no cookie cutter answer here. In our listing consultation, we will walk the property and identify architectural features, selling points and primary highlights of your home. We will include the perfect number of photos to capture an accurate and flattering depiction of your home. We will also consult our professional real estate photographers and discuss a virtual tour and the use of High Definition 4k 3D photography for use on social media platforms! 7. Can I make changes to my listing? Yes, we can always make changes to your listing as the market evolves. This is one advantage to having a dedicated real estate professional representing you throughout the process. That being said, we will create a comprehensive listing and marketing strategy prior to taking the listing live so that we get it right the first time. 8. How long does it take for my listing to be active? Once we’ve completed our in-home listing consultation we will schedule and necessary staging, repairs and photography. Once we complete those steps we will take your listing live within 1 week. 9. Can I cancel my flat fee listing at any time? Your flat fee listing agreement will last the length of the contract signed prior to the listing going live. With that being said, if your unhappy with your representation in the listing process we certainly don’t want you to feel trapped and we will be flexible in allowing you to move your listing elsewhere if we are unable to accommodate you. 10. Who will realtors call for showings? Again, there is no difference in the representation provided by Real Estate Evolved than any other full-service brokerage. Revolved Realty will provide a yard sign and all marketing materials, and your assigned Real Estate Professional will field all calls, showings and handle everything as it pertains to your listing throughout the entire process. 11. Will realtors show and sell my home if I am not listed with their company? Yes, the primary source for Realtor inventory is the MLS and they will show any listings within the MLS that meet their client’s needs, regardless of listing company. 12. Will realtors show / sell my home even though I paid for a flat fee listing? Yes, the listing agreements have no bearing on showings by other realtors. While listing with Revolved Realty is flat-fee based, the buyer’s agent will still be compensated a percentage of your property’s final sales price. This means they have no reason to view our listings any different than the other ones on the market, regardless of listing agents. 13. Why is a flat fee listing better than listing with a traditional realtor? You’ve worked hard to build equity in your home and we believe you deserve to keep more of it. Revolved Realty created an alternative to the traditional real estate model not as a discount service but rather as a structure that is congruent to the real cost associated with listing and selling a house. With Revolved Realty, you’re receiving everything you would from a traditional realtor, and you’re receiving it for a fair, easy to understand flat rate. 14. Do I need to come to your office to list my home? No, a real estate professional will schedule a time to do an in-home listing consultation. During that appointment, we will address and discuss any questions and concerns you may have prior to listing your home. 15. Do I need a lock box? Once your listing goes live Revolved Realty will provide a secure smart lock box that will allow Realtors to access the home for showings. Our lock boxes feature a feedback system that will allow us to know exactly who showed the home, how long they were there with the client and provide the showing realtor an opportunity to give us feedback on the clients’ thoughts after the showing. 16. Do I have to pay a buyer’s agent commission? While the commission you choose to pay the buyers agent is entirely up to you, we recommend that you list your home with a commission for the buyers agent. 17. Are there any additional fees? No, there are no additional fees to list your home with Revolved Realty outside of the flat listing fee. 18. How do I get started with a flat fee listing? Contact Revolved Realty today at 256.808.8070 and we will gladly walk you through the process!